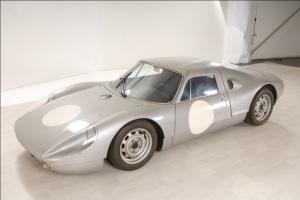 Through a sophisticated set design, the Automobile Club de l’Ouest will be using Rétromobile to present a retrospective of the 110 years it has spent serving motorists and the automotive industry. 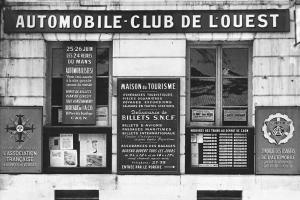 The history of France’s Automobile Club de l’Ouest is inextricably intertwined with that of the car itself. These curious noisy contraptions that frighten horses and villagers and run over animals while at the same time effortlessly bridging the gaps between far-flung places… isn't it true that they have their origins in France’s Sarthe département? Amédée Bollée, originally from Le Mans, is credited with having contributed to the development of automotive locomotion. 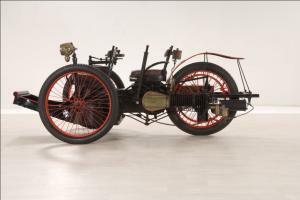 As far back as 1870, his very first vehicle – the Obéissante – had the makings of a steam-powered estate car with four independently-driven wheels, two of which were used for steering. It was powered by two 20 hp V-twin engines, one for each rear wheel. Capable of speeds of up to 40 km an hour, in August 1873, it made the trip from Le Mans to Paris, averaging 15 km/h. To accomplish this endeavour – something which seems tame by today's standards – the genius inventor had to spend months battling with the state authorities in order to get a travel permit. It would be like going to the Town Hall nowadays and requesting a permit for Mars! At the dawn of the 20th century, people were still tending to use horses to pull their coaches. With support from a few visionary manufacturers, the petrol-driven internal combustion engine was becoming increasingly popular. These pioneers were all competitive creatures. They wanted to prove themselves at the steering wheels of the machines that they built. That is how the first Paris-Bordeaux-Paris Trail motor race began on 11 June 1895, a race which saw around twenty competitors leave from the Place de l’Étoile. The event proved tremendously successful, and so in November 1895 Count Dion, Baron de Zuylen and Paul Meyan (a journalist who worked on French dailies Le Matin and Le Figaro) founded the Automobile Club de France – an organisation designed to stage events and provide members with encouragement. It was set up chiefly to promote motoring. And this mainly involved organising sporting events. One such event was the International Cup, created with financial support from James Gordon Bennett, owner of the New York Herald. This event ran from 1900 to 1905 and bore the name of its American sponsor. For the 1906 edition, the event gave way for the first time to an “ACF Grand Prix”. The Sarthe département was one of the regions that had applied to stage this new type of international race. As far as modern means of locomotion are concerned, this region in western France was particularly dynamic. Paul Jamin, a young man from Le Mans, demonstrated his superiority on a Léon Bollée in the national Paris-Dieppe and Paris-Trouville races. Bicycling clubs – which had become car/bicycling clubs, such as the Union Vélocipédique Sarthoise led by Léon Bollée, the Union Auto Cycliste for sports drivers and the Union sportive du Mans where the Singher family were based – were all very active. And in the last few days of 1905, these groups of enthusiasts, encouraged by the prospect of staging the ACF’s Grand Prix, ratified the creation of the Automobile Club de la Sarthe – the Sarthe Automobile Club. The club became officially active in the first few days of 1906. Exactly 110 years ago. Adolphe Singher was appointed chairman and Georges Durand became its general secretary. The whole region worked together on staging the Grand Prix which was a huge success. It was staged on 26 and 27 June and was won by Ferenc Szisz at the wheel of a Renault. 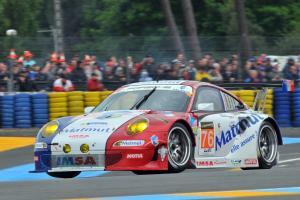 He completed the required 12 laps of the Sarthe track, averaging more than 100 km/h. At the same time, the ACS had realised that these sudden developments in automotive engineering required the support of the general public. As the various regions of western France forged links with the ACS, the need for education emerged. Even before the First World War, the newsletter published by the “L’Ouest Sportif” club provided its members with tips on courtesy and cautious driving. This type of "road prevention" flagged up dangerous areas for France’s first drivers. The 1911 edition of the directory-guide already features statistics about motoring accidents that had occurred in the Sarthe between 1907 and 1911! As motoring became more and more popular, the Automobile Club expanded its remit. It organised numerous petitions and protests against the excessively high local taxes, unfair penalties and all the illegal stops that motorists were subject to. The ACO helped promote motoring by launching a wide-ranging programme to extend the road network and improve its quality. Tasks that are more central than ever before to the day-to-day activities of the 40 million d’automobilistes association. Once it had staged several editions of the ACF Grand Prix, the ACO decided that it wanted to take up a new challenge. It wanted to show how reliable vehicles were and demonstrate the performance of their lighting systems and tyres by organising a 24-hour endurance event. 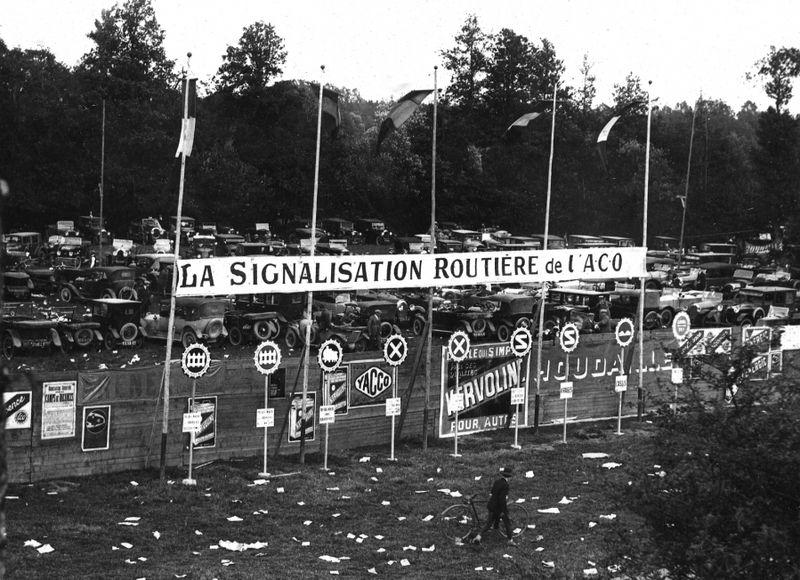 Thus was born the 24 Heures du Mans on 26 May 1923. This new race – sometimes referred to as the "Endurance Grand Prix" or the “Rudge-Whitworth Triennial Cup” in homage to Emile Coquille, manager of the company that sponsored the event – took place on the 17.262 km circuit that was used for the 1921 Grand Prix. The very first 24 Hours of Le Mans in which 33 pilots competed was won by a Chenard & Walker driven by André Lagache and René Léonard. Since 1923, every automobile manufacturer has come to the event in search of glory. A number of memorable battles have been fought at the Le Mans track since 1923. Sometimes there has been blood and tears. There has always been suspense and fantastic human adventures. The history of the race is still being written. The ACO is using this year’s Rétromobile to take a look back at this epic race through the various events it is organising. It's an opportunity to see the Critérium des jeunes conducteurs (a race held for young drivers), and the Pyramide de l’endurance (an endurance event designed to raise young people's awareness of driving issues and discover the budding young pilots of the future). Visitors will also be able to view video testimonies from professional pilots. And the ACO is showing a sample collection from the 24 Hours Sarthe Race Track Museum which belongs to the region's general council. 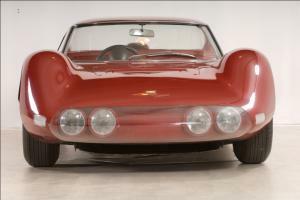 Parisians can see the Bollée tricycle, the Dino Pininfarina Berlinetta Speciale which was first unveiled at the 1965 Paris Motor Show and the Porsche 904 GTS that Michelin used to use for its tests before they donated it to the ACO. For the five days of the show, the German GT will be taking a break from the workshop where it is currently being completely restored as part of a competition staged by Motul so it can be enjoyed by the general public.